"Our website upgrade is complete, we hope you find it much easier to use. Gone are most of the older pictures, here however is a rather interesting shot of Andy we found in a virtual dusty corner of the server! All the old features are still available in the new site, plus a more logical menu system and the ability to use the site on the go on any mobile with ease and without having to download an App. The only exception is the Parkray spares. Supplies of Parkray parts have become slightly hit and miss over recent months. 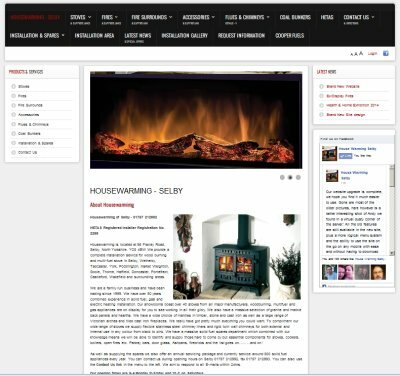 You can always give us a call on 01757 212992 or out of hours feel free to fill in your details here - http://www.housewarmingselby.co.uk//index.php/inforequest and we'll be please to get back to you.